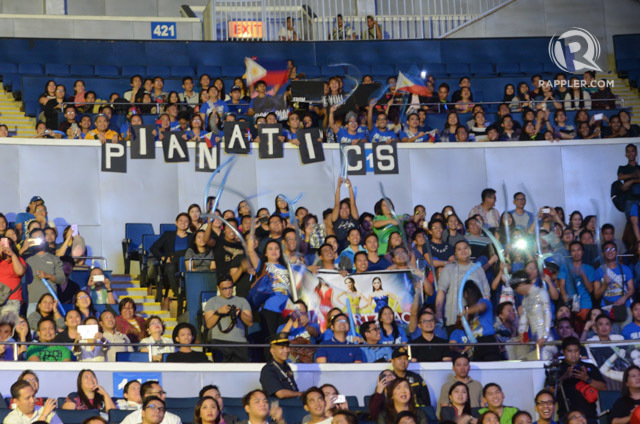 MANILA, Philippines - Pia Wurtzbach's grand homecoming ended with a special show at the Araneta Coliseum on Thursday, January 28. The coliseum was packed with supporters. While some wore crowns, others were in full Miss Universe costumes. 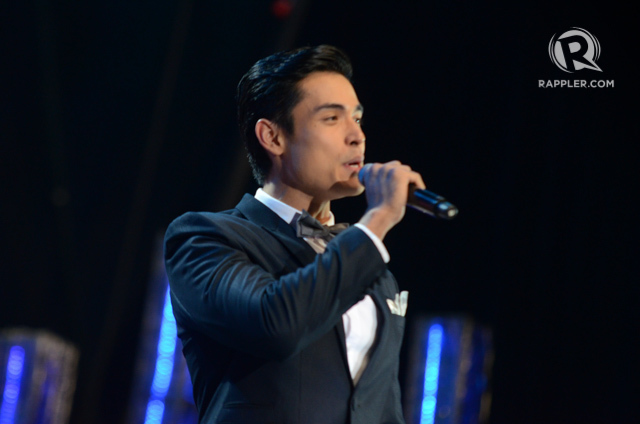 Xian Lim and Miss Universe Philippines 2010 Venus Raj hosted the event. 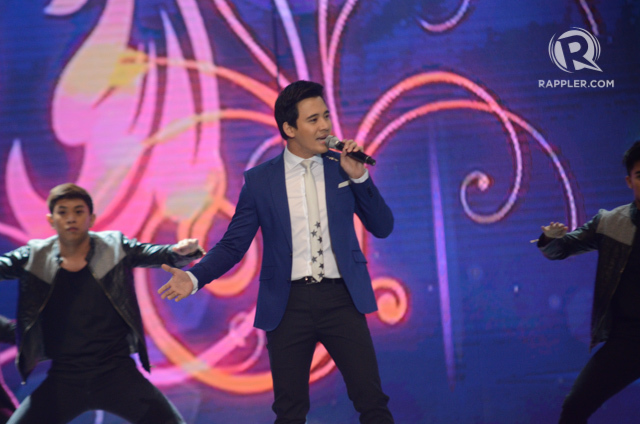 Erik Santos, Yeng Constantino, Gerphil Flores, and many more performed. The former Miss Universe Philippines representatives made an appearance too. There were 4 decades of beauty queens present at the show, including Ariella Arida, Miriam Quiambao, Lia Andrea Ramos, Gionna Cabrera, Vida Doria, Dang Cecilio, Joyce Burton, and more. 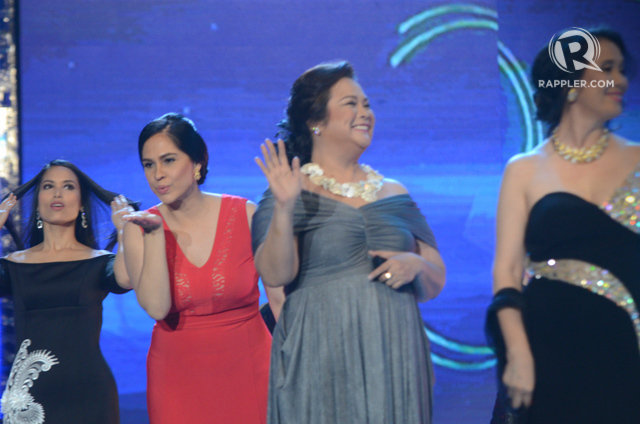 Pia made her grand entrance as Sam Milby and Piolo Pascual sang. After she entered, the two serenaded her. 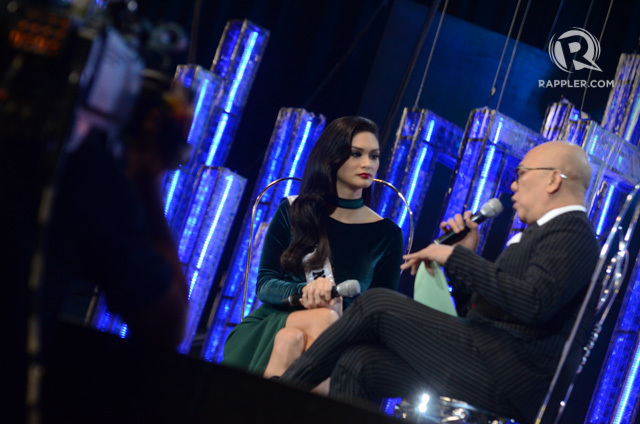 The main events, though, were Pia's interview with Boy Abunda, and her "first walk" as Miss Universe 2015 onstage. She walked with Margarita "Margie" Moran, Miss Universe 1973. 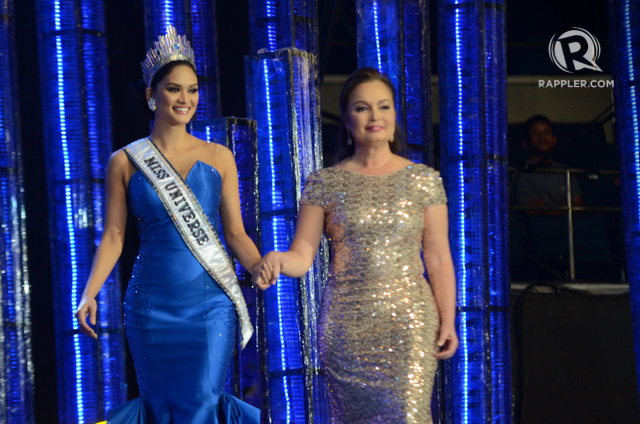 During coronation night in December 2015, Pia wasn't able to do her walk because host Steve Harvey announced the initially announced the wrong winner. Soon after Steve corrected himself, the live show was cut.